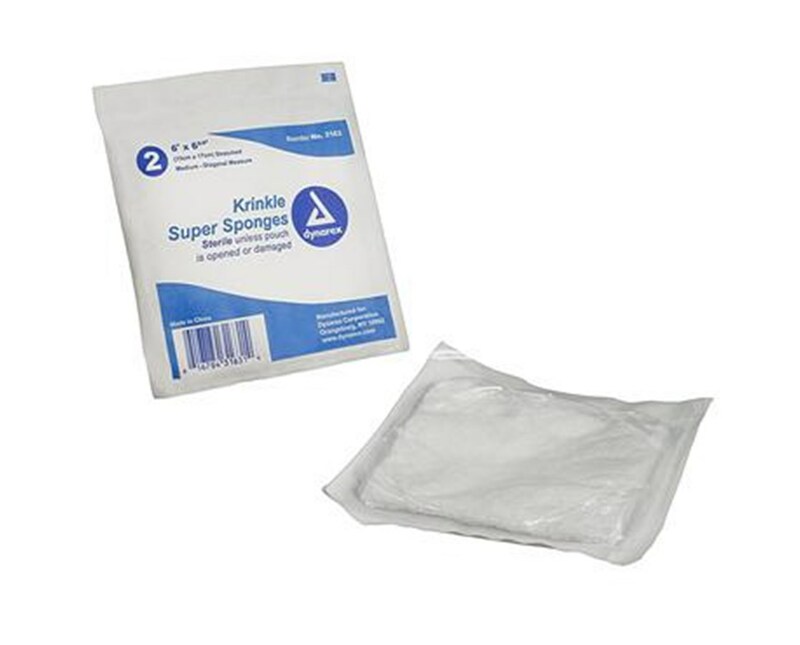 Dynarex Krinkle Super Sponges are highly absorbable fluff-dried gauze constructed of Krinkle weave and diamond fold. 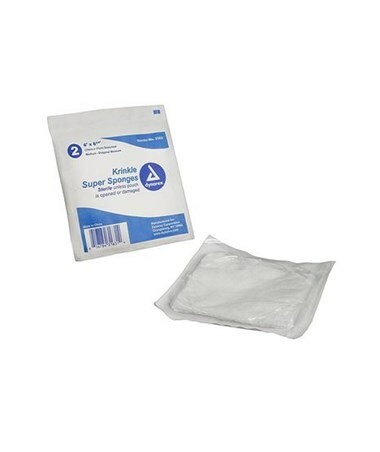 Perfect for wounds with copious drainage, as well as medical and surgical procedures. Provides cushioning support and protection of sensitive wound areas to help enhance wound healing as well as your patients comfort.